Scribblers' Rest: Scribblers' Rest: Episode 21 - Pathfinder - Rappan Athuk! : – Camp Out! Scribblers' Rest: Episode 21 - Pathfinder - Rappan Athuk! : – Camp Out! 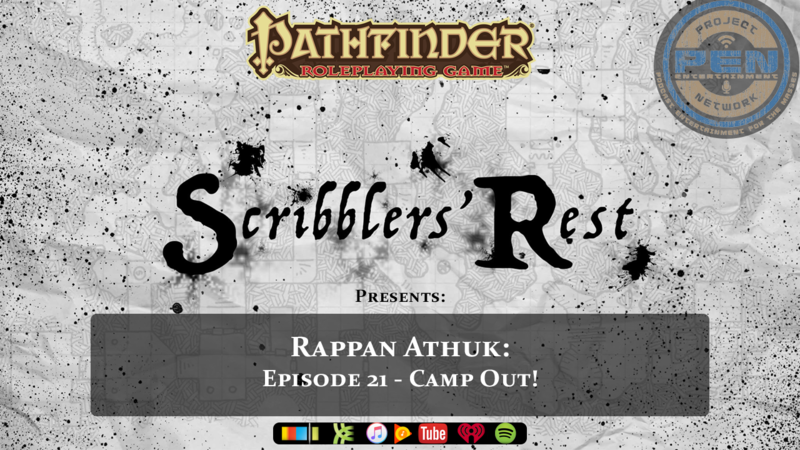 The Scribblers get real as they venture head first into Rappan Athuk: Episode 21 – Camp Out! A night raid on the Sheriff’s camp. With the Sheriff and his henchwoman being reported as excellent warriors, how will the adventurers do against their ferocious might?